"Solution Spotlight | IT That Protects Your Reputation, Customer Data and Meets Regulatory Demands | Financial Services" "Solution Spotlight | IT That Protects Your Reputation, Customer Data and Meets Regulatory Demands | Financial Services"
Managing massive quantities of customer data across a diverse infrastructure with multiple endpoints, while meeting industry regulations and protecting against escalating cyberthreats is no small task. Banks, credit unions, capital markets and insurance firms who deploy the right security software and appliances to keep IT systems and information secure, and safeguard customer and business data, gain the benefits of mastering regulatory compliance and keep costs down. Learn how to better manage risk and lock down your IT infrastructure when you check out this regulatory compliance and risk management spotlight solution. 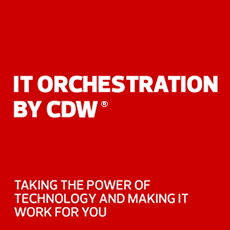 Find out how CDW’s experts and technology solutions can help your financial services organization secure your organization and regulatory compliance. Two-factor authentication reduces reliance on employee passwords and protects sensitive applications and data. Organizations with serious concerns about being targeted by cyberattackers can accelerate incident response by assuming they are already compromised. Use IP-based video cameras to improve safety, uptime and productivity.